Millions of people log into their social media accounts every day and more businesses continue to employ dedicated teams to manage and create social media campaigns that attract, as well as engage customers. But coming up with campaign ideas can be daunting. That’s why we’ve done you a favor by putting together some great ideas for you. 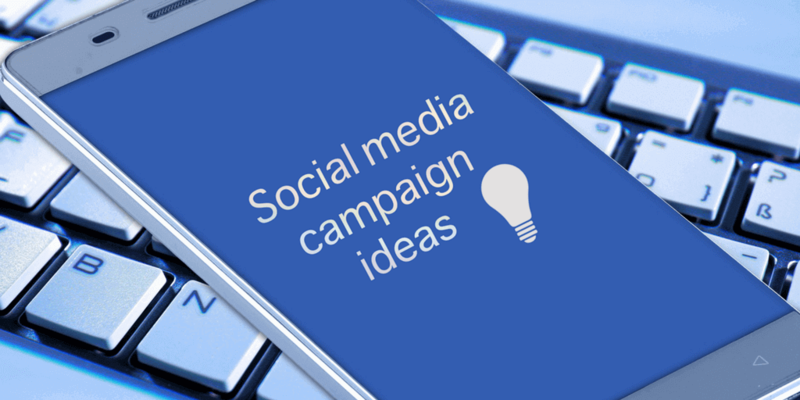 Here’re 10 of the most popular social media campaign ideas that you can try today. Remember the days when magazine coupons were all the rage? These days, you can still use coupons as a marketing tool online. The great thing about coupons is that you can share them easily on social media. Just make sure that you have a system for coding and tracking all the coupons that your online visitors use. If you look at food and travel deals online, many of them offer group promos. By offering a promo to not just one but at least three or more people, you’re actually widening your market potential. When people find out that your group promo is a great deal, they’re more likely to recommend it to their friends as well. A simple CTA (call-to-action) like tag some friends in the comments that will love this can go a long way. These days, anyone can take a picture using his or her cell phone, so holding a photo contest is a great idea. For people to win prizes, they can submit photos of themselves using your product or whatever stipulation you choose. You’ll generate more traffic to your social media page and boost your sales! The great thing about polls is that they only take one or two clicks and you’re done! They’re also great for gathering information about your target market. So if you can get people to participate, you’ll gain some valuable marketing insights too. Chances are that you’ve probably participated in a social media quiz before. It’s also very likely that you did so because you first saw it on a friend’s account. Like most people, you likely thought it would be fun, so you tried it and shared your result. That’s the power of social media quizzes. By using a quiz, you’re able to catch the interest of your audience and persuade them to participate. Who knows, your page just might become known for generating interesting quizzes and you’ll gain a lot of followers for it. Thanks to mobile technology, making a video is very easy these days. There’re many apps that people can use to edit and create their own video stories. So instead of running a photo contest, why not hold a video contest instead? You can have participants shoot a video of themselves while using your products or come up with a catchy song. It’ll be like hitting two birds with one stone! Create funny videos that contain product messaging and promote them. To do this well, you’ve got to make the audience laugh but add your product message at the end. Even in industries that may seem boring, this idea can go a long way. Exclusivity often gets people talking. When people are interested in something and talking about it, things likely go viral. That’s what some theaters did when they hosted a women-only Wonder Woman showing. It got people talking and it made the super hero movie even more enticing to watch. Create or post images that are highly unlikely to be true but funny. These are images that even though the audience knows it’s fake, it’s still funny to see. They can be real images too, so don’t limit yourself. There you have it! These are some pretty powerful social media campaign ideas that you can try for marketing your business. Have some ideas of your own? Let us know in the comments. Gabriel Nwatarali is a digital marketer and designer. He works as a consultant for businesses that want to improve their web presence. He is the founder of Tech Help Canada, a design and marketing agency. He currently resides in the beautiful city of Ottawa, ON.